It’s elusive; that second hand ticking away. 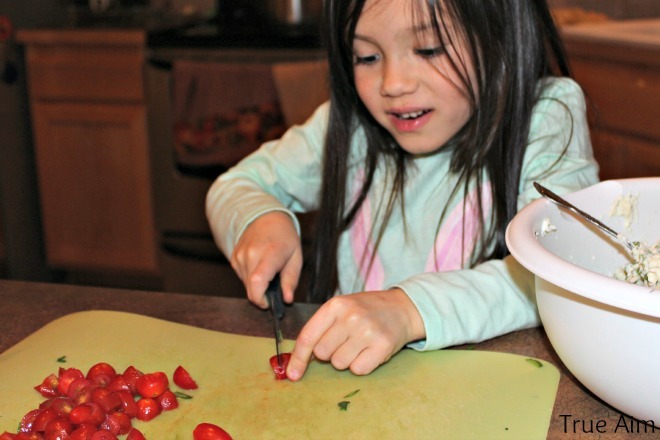 That’s why I’m excited to tell you about these 10 Parenting Hacks to help busy mom save time inspired by a sponsored post from Mondelez via Mode Media. Too often was I running around like a chicken with my head cut off. Enough was enough. Out of necessity I came up with a few tricks to help me organize my day and help me spend more quality time with my kids. 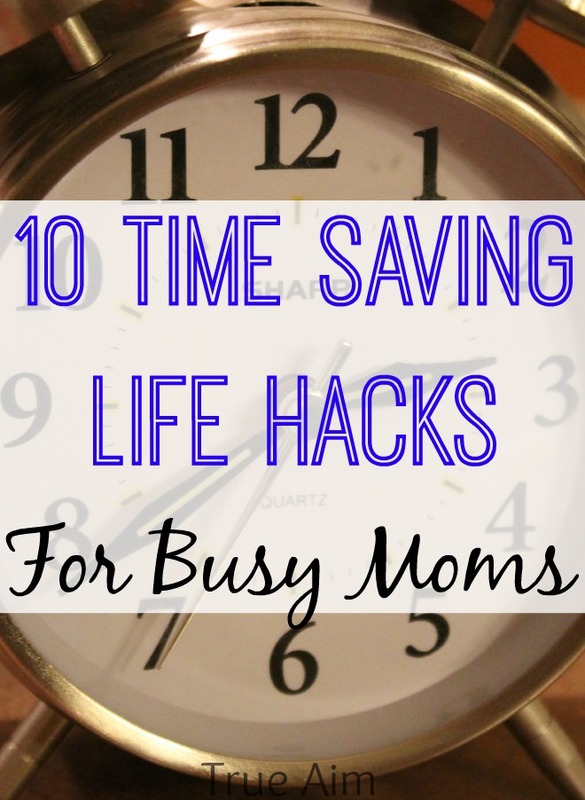 There’s no time like the present to get more organized and break that cycle of chaos that busy moms often find themselves. 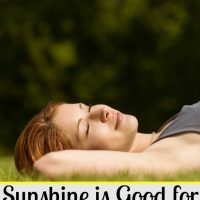 Try these simple strategies out and you won’t feel like setting your hair on fire at the end of the day. 1. The Easiest Meal Plan Ever!! Say goodbye to meal planning and hello to the meal plan list. Make a list of 30 things your family loves to eat for dinner, 15 things for lunch, and 15 things for breakfast. Whenever you go to the grocery store, quickly pick out 5 things from the list for dinner, 5 things for lunch, and 5 things for breakfast. That means you’ll have left overs 2 nights a week and you’ll have the same thing for lunch and breakfast a couple days a week. In seconds your grocery list and meal plan are done! You can easily create 4-5 meals from just one rotisserie chicken. At around $5 a chicken, that is a big money and time saver! Make some freezer meals to save even more time. Have whole grain snacks handy to keep the kids at bay before dinner time and to give you a boost during the day. Try Honey Maid Go Bites made with real honey, no high fructose corn syrup and has 5 grams of protein and 7 grams of whole grains per serving. It will keep you from reaching for something you’ll regret eating later. There are lots of things you can prep ahead of time to get ready for meals during the week. When you get home from the grocery store, just add one extra step before putting things away. Chop and Parboil veggies so their ready for stir fry, soup, or any other recipe by boiling until almost tender then rinse in an ice bath. Measure out spices and dry ingredients and store in plastic bags or containers. Marinate meat for the next days dinner, or put together some slow cooker meals in plastic bags, freeze and when you’re ready to cook, just dump it in the crock pot and press on. Maybe you don’t like daily planners, but they are key to having an organized day and home. You at least need a to do list that is prioritized by A, B, and C. A is for things that need to be done that day. B, is for things that you would like to get done, and C is for those things that are extra work, or can be done in a couple days, but maybe you can get 1 of them done early to save even more time later. Don’t have a routine? You need one! Knowing what you’re going to do at what time really helps you conquer your to do list faster and it give the kids a feeling of stability and structure. When your children know what to expect each day, they won’t struggle with transitions or any responsibilities they have. My tip for routines is to set a wake up time for everyone in the house and try to keep it within 30 minutes. Your wake up time should be 15-30 minutes before the kids so you don’t feel like you’re rushing to get ready. Make keeping bed time an easy decision for kids to make by allowing them to stay up later and read if they have cleaned up their room and are in their bed on time. Keep kids occupied by having special activity ideas on cards or sticks that children can draw from to get ideas on what they should do if they are bored or when you need time to yourself. You can also keep busy bags filled with a small collection of themed toys or a quiet activity for younger children. 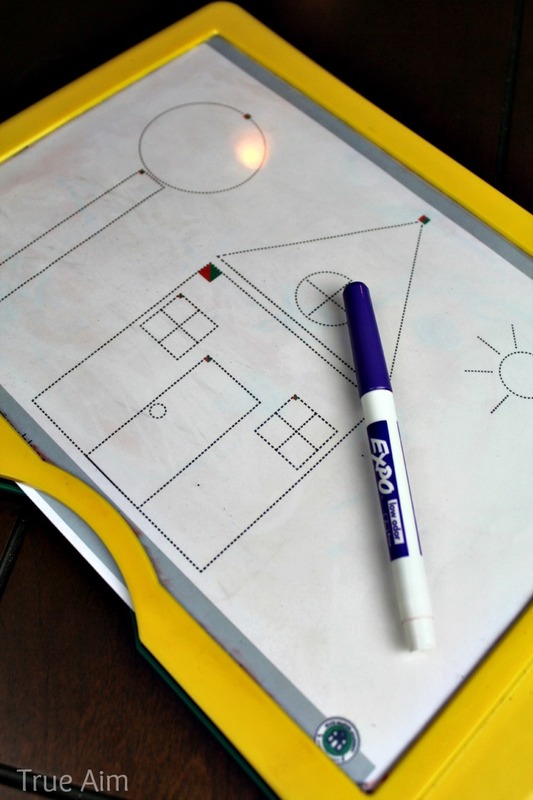 These can be as simple as dollar store coloring books or there are TONs of ideas on Pinterest. 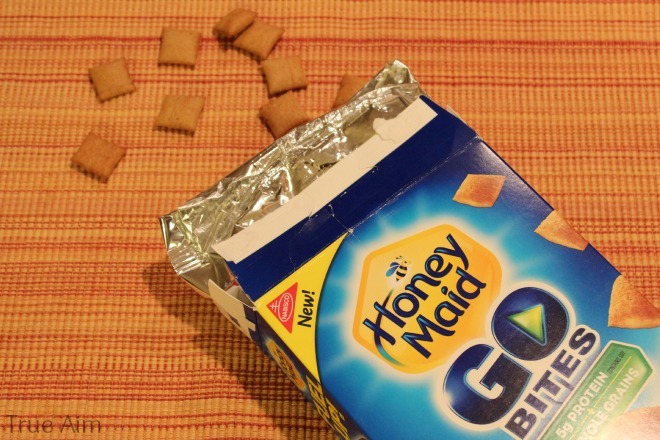 Set a timer and tell your children they get a small snack like Honey Maid Go Bites, if they are quiet and don’t bother you until the timer goes off. Gone are the days of yelling and fighting in the car. Make travel binders or notebooks that children can work on while riding or put some special books by their seat to keep them busy while riding around. If your children do well, reward them with praise or a special privilege (10 minutes more to stay up at night for example). If they aren’t being good, have 3 special hand signs you’ve gone over ahead of time so you don’t have to yell. 2 warnings and then if the final hand sign goes up, have a consequence that fits the bad behavior (time out with mom when they get to the destination, going to bed early, no snack). No, I’m not talking about prepping for an emergency, I’m talking about a bag that is ready for when you need to go somewhere right away. You’ll want to keep a bag filled with wholesome snacks, like Honey Maid Go Bites, a water bottle, warm clothing or sunscreen (depending on the season), extra cash, and a small first aid kit. This can be kept in the car, front entry way closet or mud room. You’re busy, but no matter how fast things change and how many things you need to get done, you don’t need to feel frazzled doing it all. 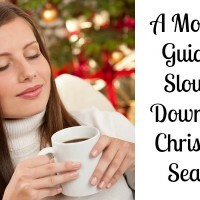 I hope these tips will help save you time and give you more freedom to spend more wholesome, quality time with your family. Compensation was provided by Mondelez via Mode Media. The opinions expressed herein are those of the author and are not indicative of the opinions or positions of Mondelez.